Playout Software - Cable TV Software, Decklink Playout Software, 4k Ultra HD Playout software Media On Air | Tv Channel Streaming Software | Broadcast Automation Scheduling Software | Decklink Software | Cable TV Channel Scheduler Software | Live Video Mixer Software | TV Channel Playout Software | Video Streaming Software | Live Streaming Software | Cable TV DailChoice Software | Cable TV SmsBox Software | Blackmagic design Decklink Software | Cable TV Player software | Live Chroma Key software | CG software | BlackMoonSoft | BMS . 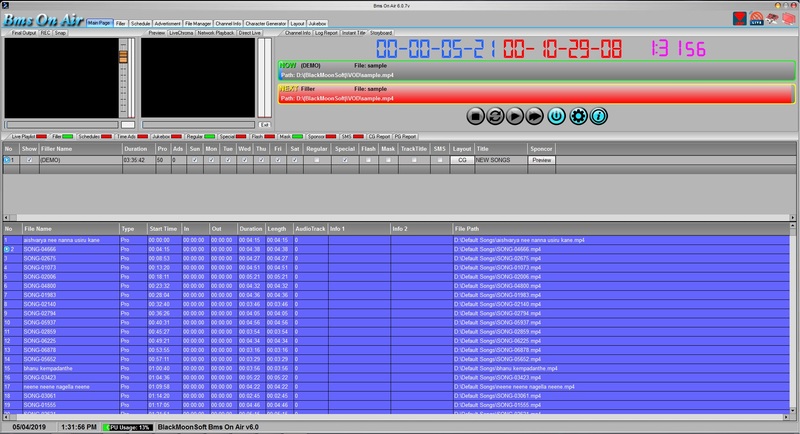 File-Formats : MXF, MP4/MOV, LXF, ASF/WMV, DV, MPEG-PS, MPEG-TS, GXF, FLV, AVI, MKV, WebM. Video codecs : DVCPRO, DVCPRO, M-JPEG, MPEG-1, MPEG-2, MPEG-4, H.264/AVC, VC-1, VP8/VP9, HuffYUV, DNxHD, ProRes, H.265. Audio codecs : AAC, MP3, WMA, Vorbis, FLAC, MP2. 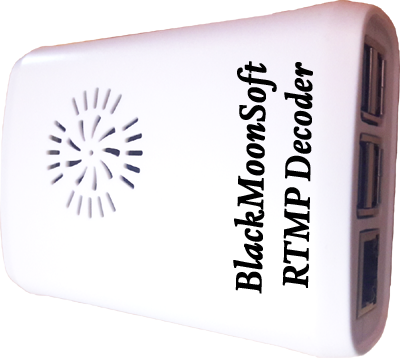 Supported Network : UDP, RTMP, RTSP, RTP, HTTP. 1.Keep the dongle and key safe, if you miss the dongle or key we will not replace it.